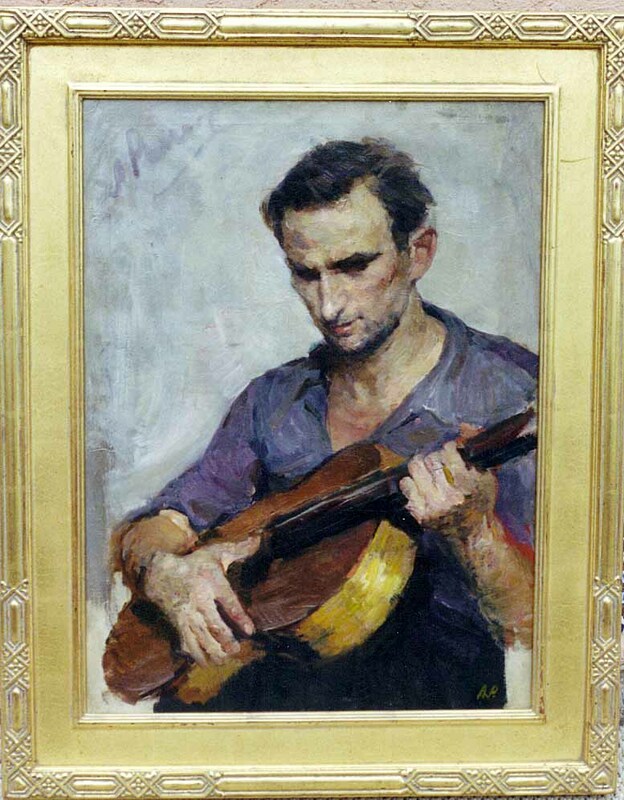 Aleksandr Romanychev was born in 1919, two years after the October Revolution. 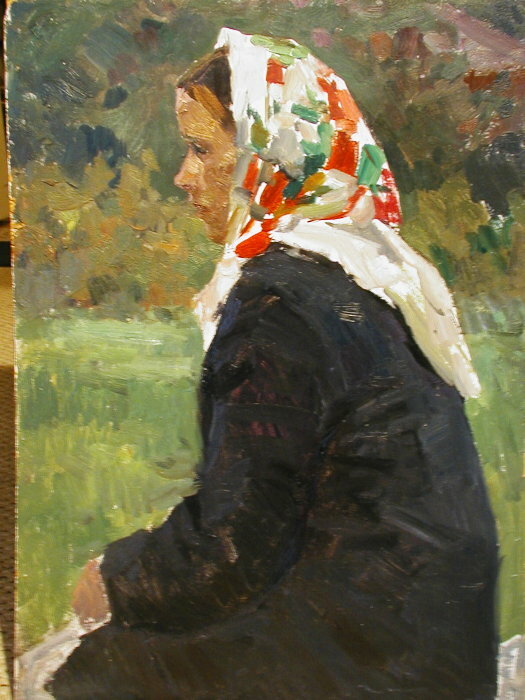 He studied at the Rostov-on-Don Art College 1937-38. 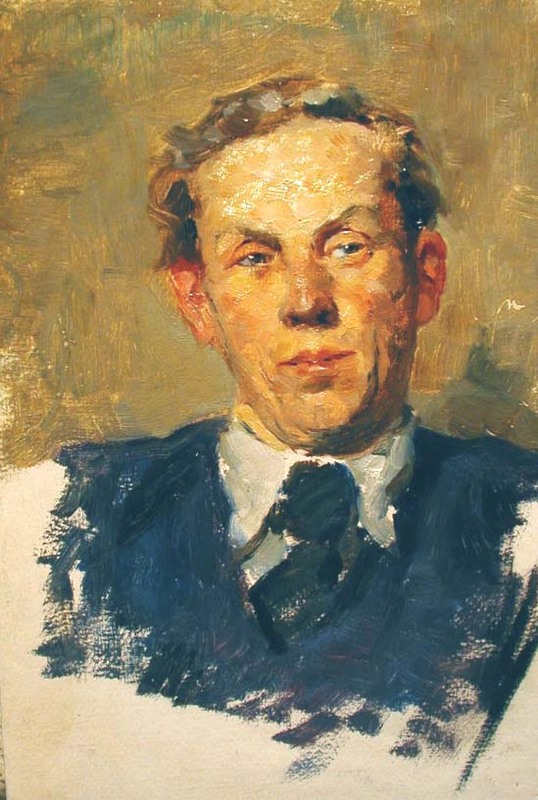 His art education was interrupted by World War II. 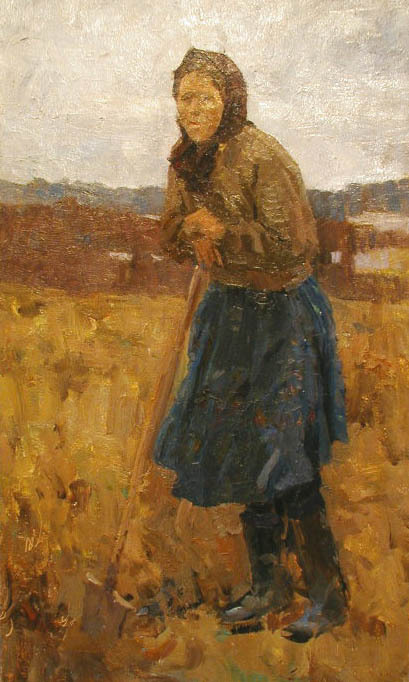 He gained accaptance into the prestigious Repin Institute of Art in St. Petersburg in 1948. 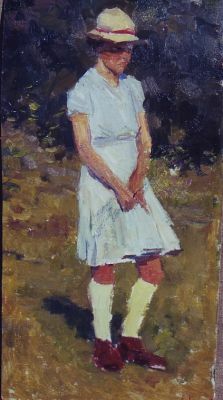 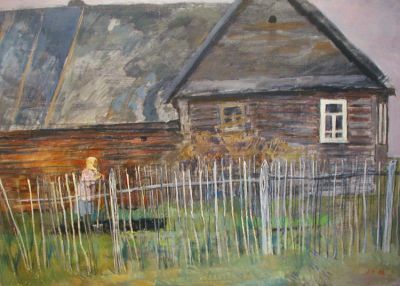 He graduated in 1954 and remained active in St. Petersburg as a professor of painting at his alma mater and as an artist until his death in the late 1980’s. 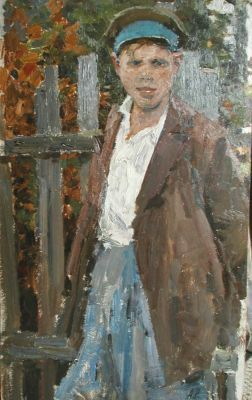 A member of the Union of Artists of the USSR, Romanychev’s major shows included the "Soviet Russia Exhibition" in Moscow in 1960 and "All Union Exhibitions" throughout the 1960’s, 70’s, and 80’s. 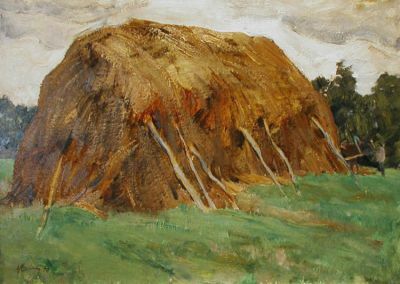 Works of Romanychev may be found in museums in St. Petersburg, Moscow, Rostov-on-Don and numerous regional museums throughout Russia. 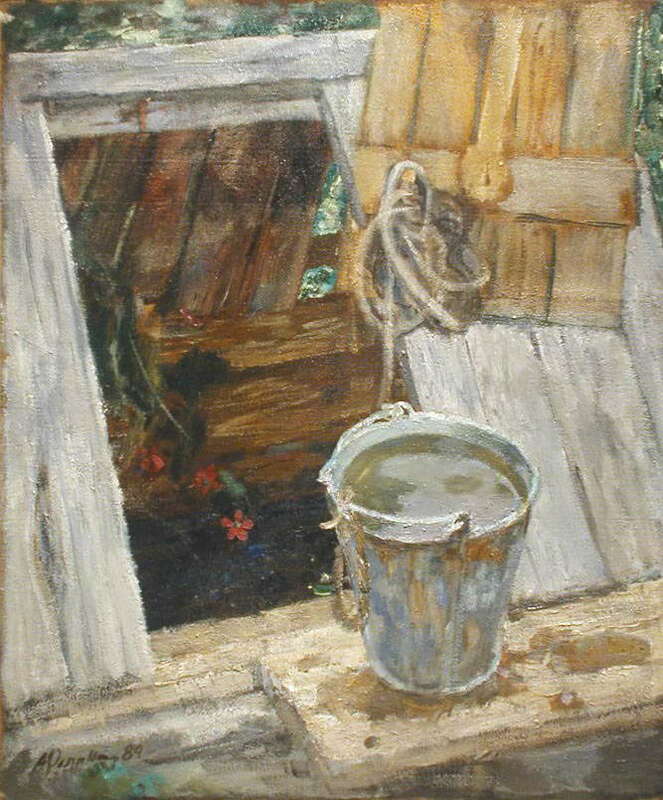 His paintings are in major private collections in Russia, Great Britain, Finland and the United States. 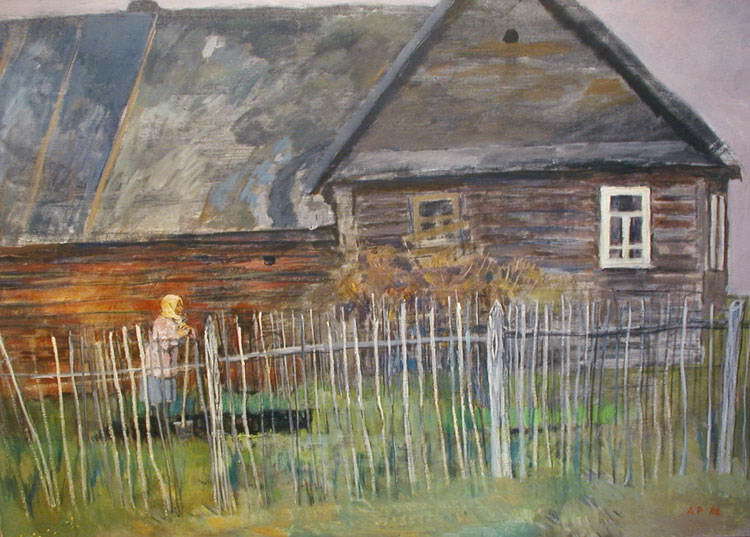 He is listed in Matthew Bown’s, A Dictionary of Russian and Soviet Painters, 1900-1980’s on page 260. 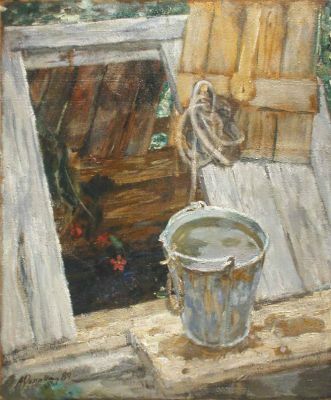 A plate of his painting,"By The Window", is also featured on the same page.